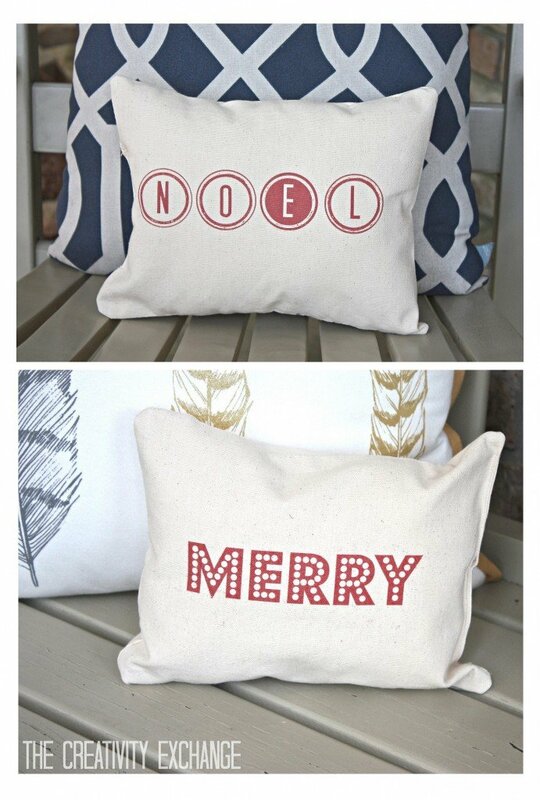 Free Printable for Making "Merry" and "Noel" Christmas Accent Pillows..
Free Printable for Making “Merry” and “Noel” Christmas Accent Pillows..
Are you guys busy decking the halls? To be honest, we’ve been trying to get our Falalala on but we’ve all been sick. I think we’re on the mend and we’re trying to get back on track and get our Christmas up before Christmas actually arrives! One of the things that I have told myself this year going into Christmas is to use what I have already. I’m trying as hard as I can not to buy anything new this year because I have an attic stuffed full of Christmas stuff already. I’m once again forcing myself to be creative, use what I have and most importantly, have fun doing it with my family. 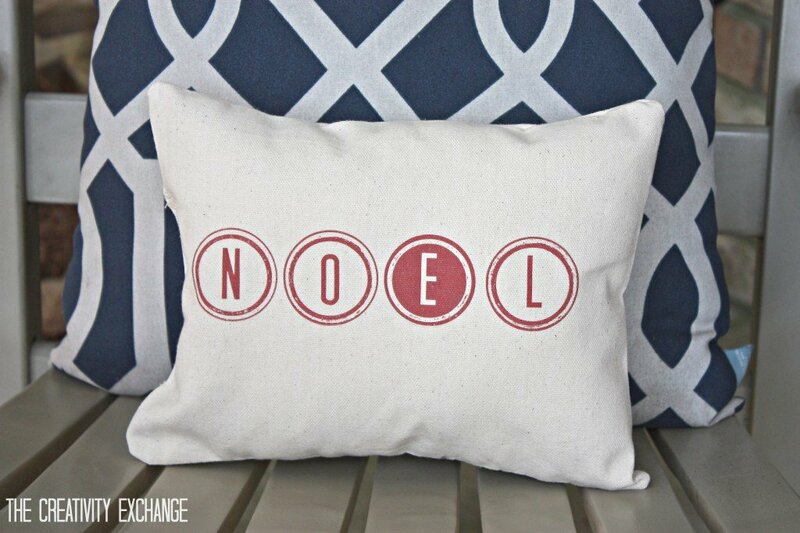 This project is so easy and all you need to do is print this free printable that I made directly onto fabric and then either sew it up or make a quick “no sew” pillow. 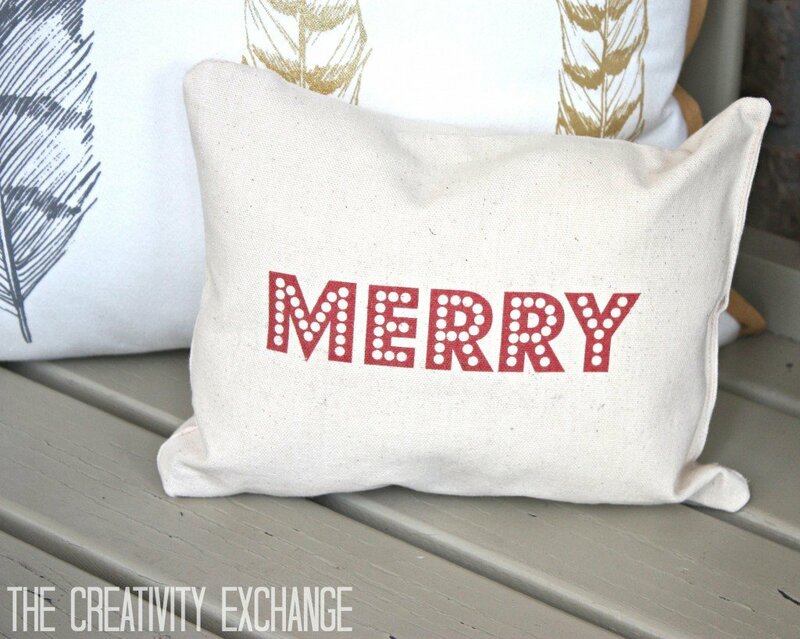 If you’ve never printed on fabric before, you are in for a treat because it’s so easy and you’ll start thinking about all of the other projects that you can make. *** Be sure and print a test copy first on standard 8.5 x 11 copy paper to make sure that your ink levels are good. If you’re running low on ink, you may end up with pink pillows! 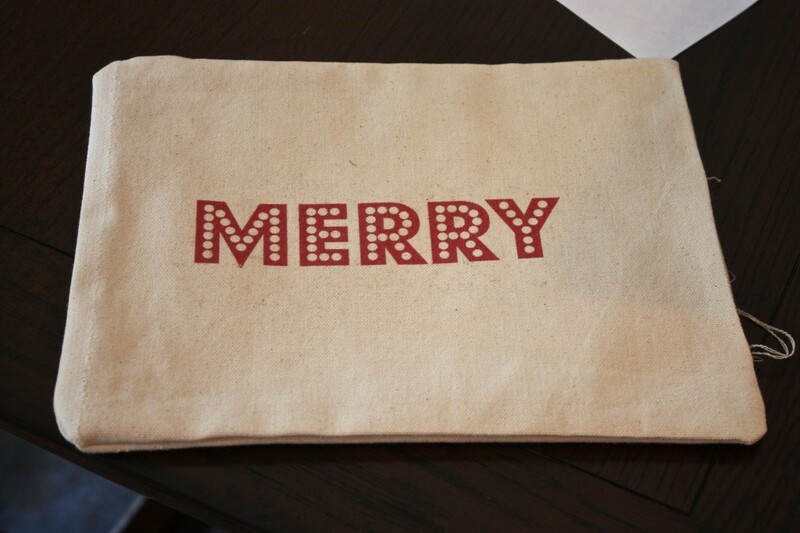 For fabric, I used a lighter weight canvas type fabric that I found but you can print on almost anything. I have printed on thick canvas before with no problem with my printer but you may want to try something medium weight first if you have never printed on fabric before. 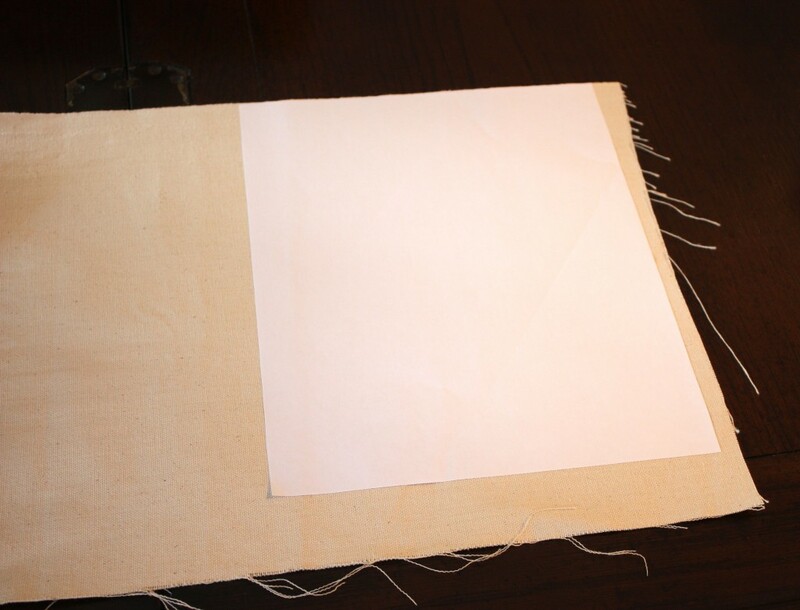 Trim your edges so that you do not have any fabric over the edges of your paper. Before I hit print, I tool a credit card and went over the back of the adhesive paper and fabric to make sure that the adhesive was completely attached along the edges and all over. I then I hit print and ran the fabric through my printer. It prints out perfectly! Because the printer ink needs to dry, I carefully removed the fabric from the adhesive back and laid it flat to dry on it’s on for an hour. After the hour, I use a hot iron on the highest setting (no steam!!) and ironed it twice (let it completely cool in between each ironing). This will heat set it so the ink will not bleed. However, because it is printer ink, you are not going to want to wash these little pillows. You can spray a very light coat of scotch guard and that prevents it from bleeding if it gets a little wet. 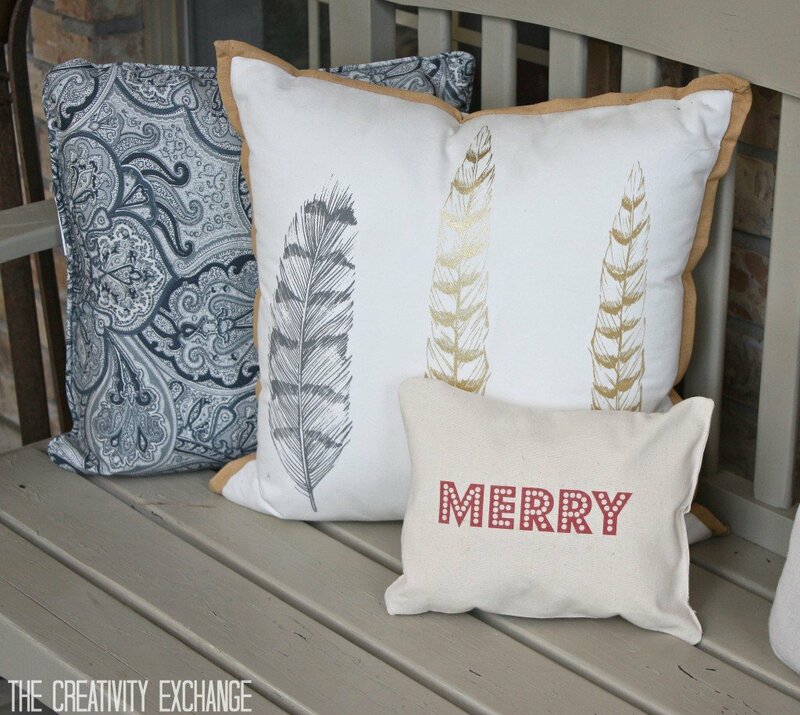 This is such an easy project and again, if you’ve never printed on fabric before, this is the perfect beginner project to try this technique. 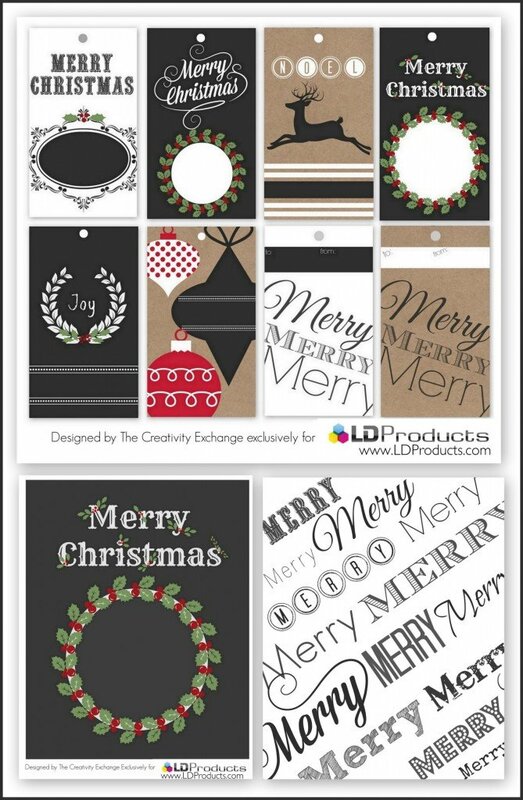 Thanks for hanging out with me today and if you are a printable fanatic like me, be sure and take a look at the Christmas printable that I shared last week exclusively for LD Products. You can get to that post by clicking here to download the image below. I will be back shortly with something sweet (and salty). 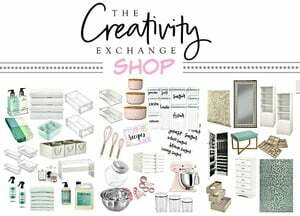 Hi, love your blog, so grateful for all your amazing ideas and motivation! interested in printing off printables but was wondering what type of printer you recommend? Thanks, happy holidays! I use a wireless HP 5510 Photo Smart that I purchased at Best Buy a couple years ago for around $100.00. 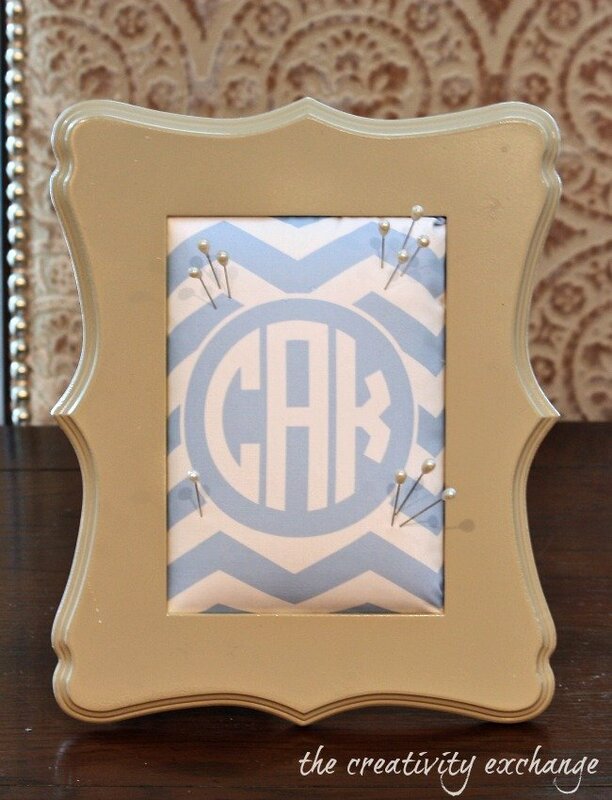 I absolutely love it and it’s perfect for all my printables and the quality is outstanding. I believe that getting a printer that’s made for printing photos makes all of the difference if you like to print printables or photos. The wireless is great and can go in a cabinet or tucked away. Hope that helps! Thanks for stopping by Darci! This is super cute. Dumb question: What kind of printer do you use for printing on fabric? You an use any kind of basic printer Jessica! 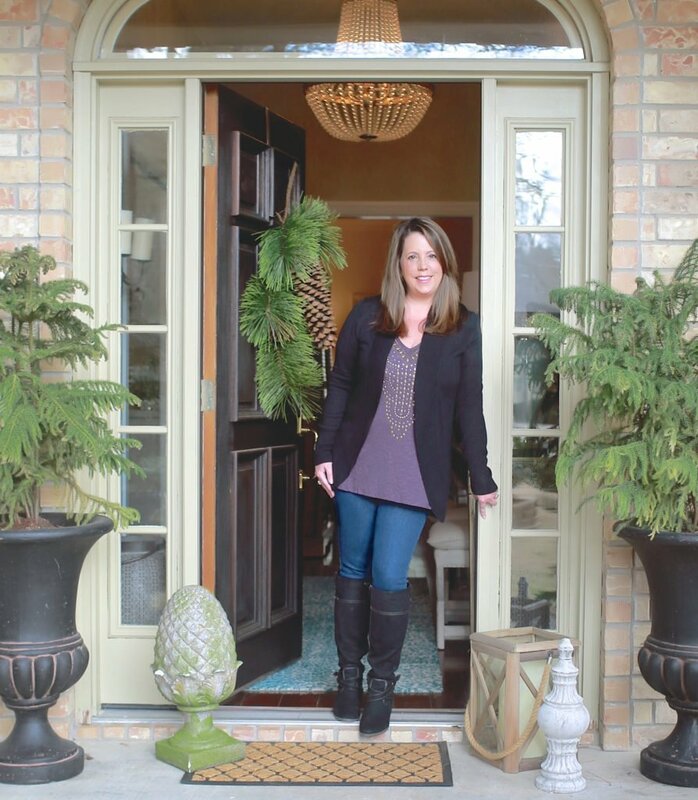 Printers are designed for thicker things like heavy card stock for brochures and you would be amazed at how easy it is to run fabric through your printer. I have even run thick drapery backing (with the rubber backing) and it goes through beautifully. I would test a medium weight fabric first if you’ve never printed with your printer before. Just make sure to attach it to label paper or iron on freezer paper. That fabric has to have something holding it. Wow – these are amazing. 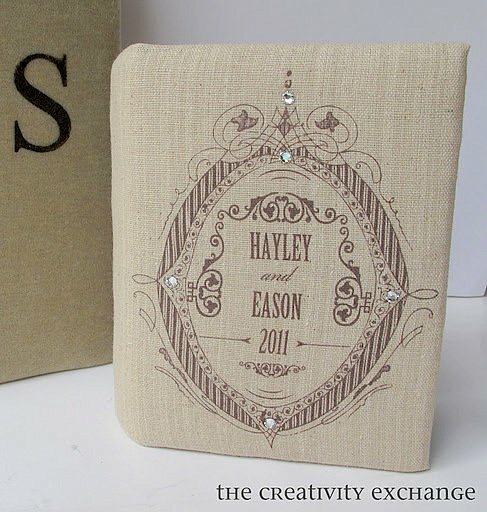 I had no idea you could print directly onto fabric like that! 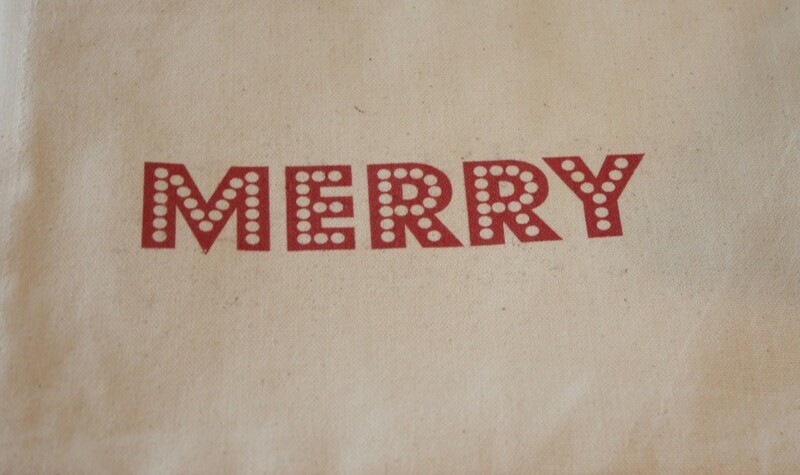 I just hand stencilled some festive totes – but this would give a really similar effect. Thanks so much for sharing.